This 5-day private tour captures the essence of Beijing’s ancient culture by visiting the classic attractions of Tian'anmen Square, the Forbidden City, the Summer Palace and the Great Wall of China at Juyongguan. Also you will see the famous Niujie Mosque and Nandouya Mosque which we elaborately design for our Muslim clients. 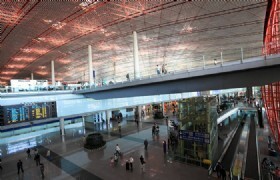 Detailed Itinerary: Our guide will meet you at the arrival hall of Beijing International Airport and transfer you to your hotel for a rest. Detailed Itinerary: Today we will start our Beijing exploration by visiting the legendary Tian’anmen Square, UNESCO World Heritage Site Forbidden City and the popular 798 Art Zone. After dinner, we will enjoy an Acrobatics Show. Tiananmen Square: Tiananmen Square is the third largest city square in the world. 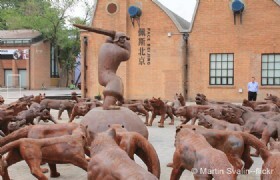 It has great cultural significance as it was the site of several important events in Chinese history. 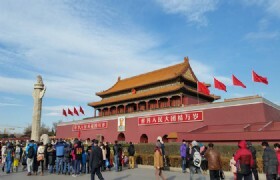 It is the most popular Beijing tour destination. 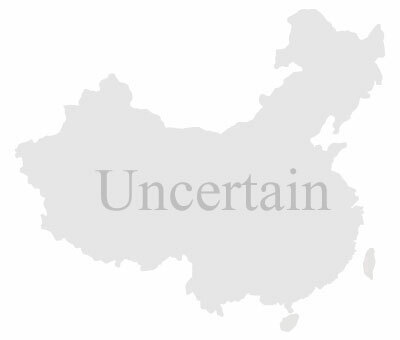 You can start your Beijing tour from here. 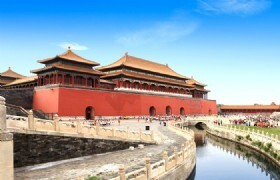 The Forbidden City: it is home to 24 emperors in the Ming and Qing dynasties. It is called Gu Gong in Chinese, located in the Center of Beijing. It is the largest and best-preserved imperial palace in the world. 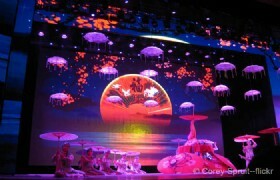 Acrobatics Show: China has many world class acrobatic troupes almost in every province and major city. This amazing show in Beijing will definitely dazzle you with their highly-skilled professionals. Detailed Itinerary: Today we’ll visit the Juyongguan section of the Great Wall where it is less crowded and has better views. After lunch we will have a photo stop at Beijing Olympic Stadium. Then we will proceed to Wangfujing Street. Juyongguan Great Wall: Juyongguan or Juyong Pass is a mountain pass located in the Changping District of Greater Beijing, over 50 kilometers from central Beijing. Surrounded by mountains, Juyongguan Great Wall is featured by its surrounding beautiful views of verdant trees and blossoming flowers. 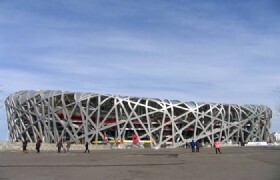 Beijing Olympic Stadium: The National Stadium, also known as Bird's Nest, is situated in Olympic Green Village of Chaoyang District. 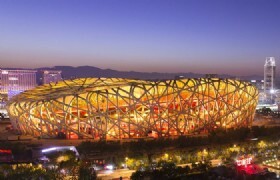 It was designed as the main stadium of 2008 Beijing Olympic Games and has become a favorite photo spot for visitors. 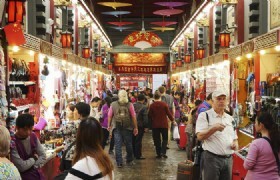 Wangfujing Street: it is one of the best places to taste some of the most famous snacks of Beijing and other traditional snacks of other cities in China. Leaving Wangfujing Street, you will be transported back to your hotel. Detailed Itinerary: Today we will visit the famous imperial garden- Summer Palace. 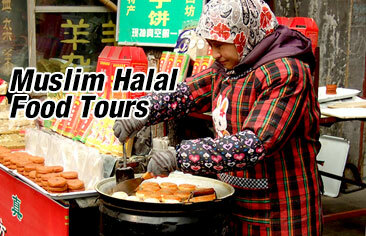 After that we will visit a famous mosque in Beijing- Niujie Mosque. Then we’ll go shopping in Muslim Super Market. Finally The Place will be our last destination of the day. 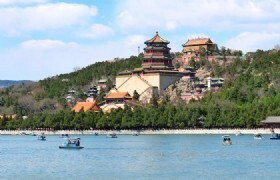 Summer Palace: Summer Palace (Yiheyuan) is Chinese Royal Garden which is located in Haidian District, about 15 kilometers to Beijing. It has an area of 290 hectares. It was built based on the design and artistic conception from Kunming Lake, Wanshou Mountain, Hangzhou West Lake and some Jiangnan Gardens. It is praised for its beautiful landscape and spectacular architecture. 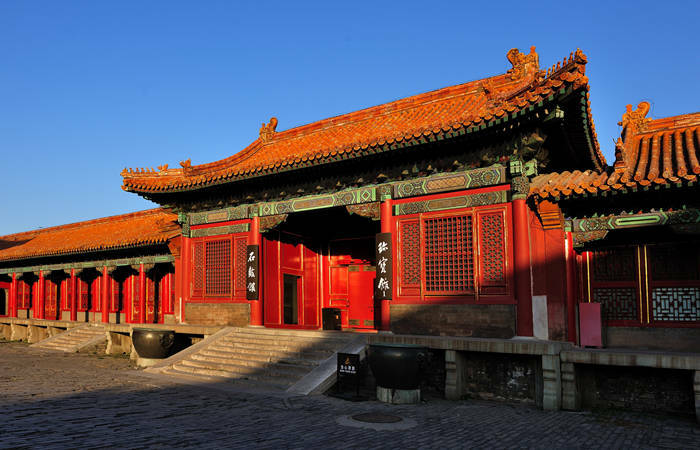 Niujie Mosque: it is the oldest mosque in Beijing with a history over 1,000 years. With a mixture of Islamic and traditional Chinese architectural style, Niujie Mosque has been a must-see mosque for Muslims travel to Beijing. Muslim Supermarket: it is the largest Muslim supermarket in Beijing that sells various kinds of Muslim food and Muslim featured products. The Place: a landmark shopping mall in the city most known for its biggest LED sky screen in Asia. It is also a blend of shopping mall, office building, space art and fashion. 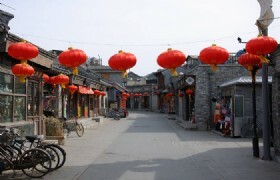 Detailed Itinerary: Today we will ride a tricycle to discover the local hutong allays. 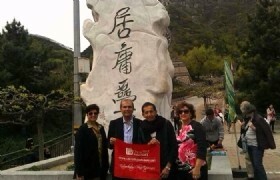 Then we will continue to visit the beautiful Shichahai. After we will visit the famous Nandouya Mosque. Then we will arrange shopping in Xiushui Market. 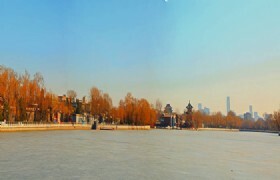 Beijing Hutongs: To see the traditional historical buildings of Beijing, one of the best places to visit is the Beijing Hutongs. 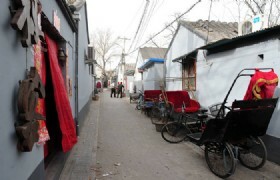 The historical Siheyuan (Chinese courtyards) are a symbol of the Beijing Hutongs that dates back 2,000 years. The layout of the courtyards in the Hutongs is prevalent as a template for many palaces, housing complexes, temples and monasteries. 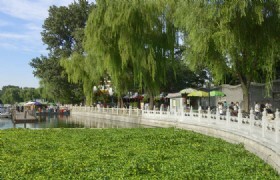 Shichahai: Shichahai is an historic scenic area consisting of three lakes in the north of central Beijing in China. 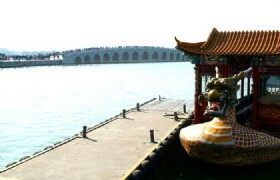 Shichahai consists of the following three lakes: Qianhai, Xihai and Houhai. Nandouya Mosque: it was built during the Qing Dynasty and has a history of over 200 years. Nandouya Mosque was built in traditional Chinese courtyard house style yet the Islamic elements are well preserved. 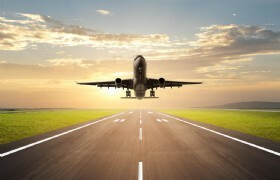 After dinner, our guide will transfer you to the airport and help your with boarding. Your tour ends here. Thanks for having this tour with us! Meals: 3 breakfasts _3_ Chinese lunches and _3_ Chinese dinners. * Itinerary of this tour including shopping stopover at local business in pearl, foot massage, tea, silk, bamboo charcoal is compulsory. Please be aware! * Optional activity: watch the music opera Golden Mask Dynasty and visit a local family is MYR195 / Person. * Child that requires bed is the same fee as adults. A child that does not require bed is 60% of adult fee. * A surcharge of MYR25 / Person is required from July to August. * After December 20 we will arrange snow world ski resort (include entrance tickets,exclude equipment rental). A surcharge of MYR13 / Person is required.